Kantar Worldpanel, the global market leader in consumer panels, reports 16% value growth for the FMCG (Fast Moving Consumer Goods) market for the latest quarter up to March 23rd 2012 compared to the same period a year ago. This quarter’s growth, however, is showing signs of slowing down as we saw growth of 18% in Q4 and 21% in Q3 last year. With the external demand remaining weak, China saw its economy expand at slowest pace in the last three years. The gradual slowdown in economy is having a knock on effect on consumer sales. Retailers and manufacturers in China will need to focus on expanding shopper’s baskets and consumption in order to sustain double digit growth in this industry especially if the number of shoppers within the channel does not continue to increase. Key global retailers have again struggled to maintain share, especially over the last quarter, and the local players continue to grow their presence. The Sun Art Retail Group, consisting of RT-Mart and Auchan, Walmart and Carrefour have all seen a share decline in the last quarter. Carrefour, however, has seen the largest erosion in share over the last 52 weeks which has been driven by its performance in the key cities where the store has seen less shoppers visit the store. 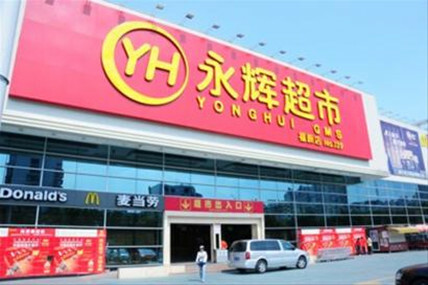 Yonghui, a rising star following its IPO last year, is rapidly expanding its footprint across China and now registers in the top ten national retailers with a share of 1.7%. By the end of 2011, the number of its stores reached 204, a year-on-year increase of 31%. In the latest quarter this retailer has grown by 69% compared to the same period a year ago and has seen 13% of household visit the store over the last year in China’s provincial capitals. The Q1 period is the most important of the year for FMCG trading in China as shoppers will spend at least 30% more during this quarter as they entertain guests and buy gifts for their family and friends during Chinese New Year. Shoppers will not visit more stores during this period and instead increase their spending per trip to 90 RMB on average (compared to 68 RMB for other quarters in the year). Therefore, retailers need to maximise footfall during this period and also ensure their ranges sufficiently meet the needs of shoppers during this festive period. One of the key players who performed particularly well over this period was Tesco who grew both their footfall and the amount shoppers spent in store, particularly outside of the key cities. This is something many other larger players did not achieve with their growth coming more from an increase in spending amongst their existing shopper base. E-Commerce is still relatively small within the FMCG market but is growing very fast at 49% year on year as more shoppers add this channel to their repertoire. Two key players here are Taobao and Yihaodian. Taobao, with its space ‘Taobao Chaoshi’ dedicated to grocery shopping, is the dominant player and has seen just over 3% of households shopping there in China’s key cities in the latest quarter. Personal care items are currently more likely to be purchased online and account for 57% of sales compared to 17% within modern trade. Sites like Taobao and Yihaodian are able to offer a larger range and competitive pricing compared to many of the bricks and mortar stores. This is particularly appealing especially for those shoppers in the lower tier cities where hypermarkets and upscale cosmetic stores are less prevalent. We are yet to see e-commerce become an important channel within food and drink categories. However, Tesco and Carrefour are both in the process of developing online shopping systems and Walmart has already acquired a controlling investment in Yihaodian. This combined with the rapid increase in the number of households with internet access and a strong willingness to shop online means this channel is likely to explode in the future.